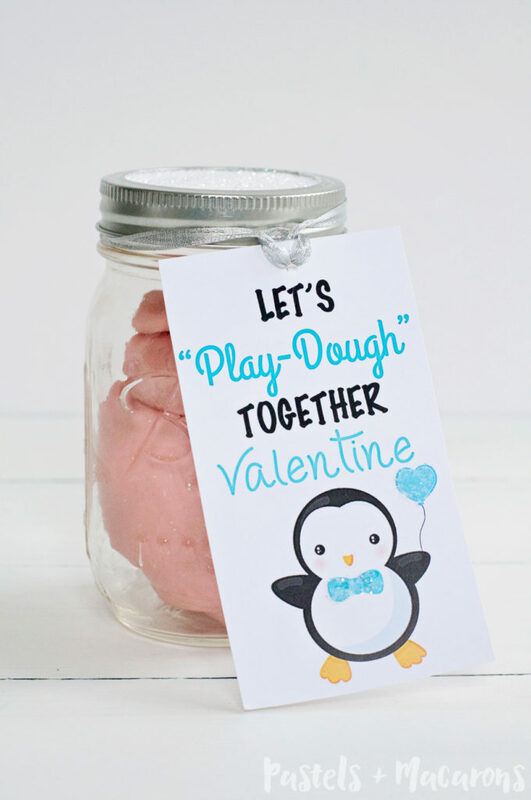 Valentines Day is quickly approaching so today I have this super cute Kids Valentine Gift In A Mason Jar With Free Printable which will impress the socks of any kid! 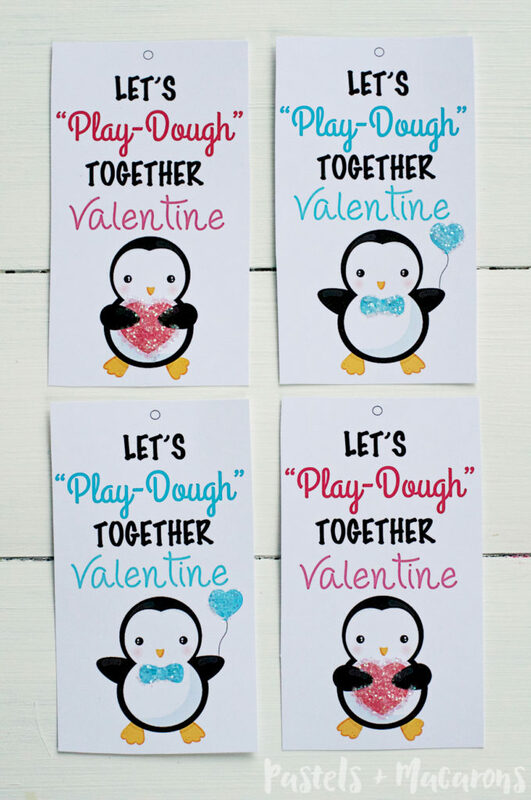 AND How CUTE are these printable gift tags?!? I know right! Haha. I love making play dough for my boys. I make it all the time and try different combinations and colours and recipes. They love it and I feel comfortable I know exactly what they’re putting into their mouths. My kids are little vulchers and put everything in their mouths. Locky still eats random crap from around the house so I have to be careful what I give him. He was asking me for play dough recently and I didn’t have any in the house. 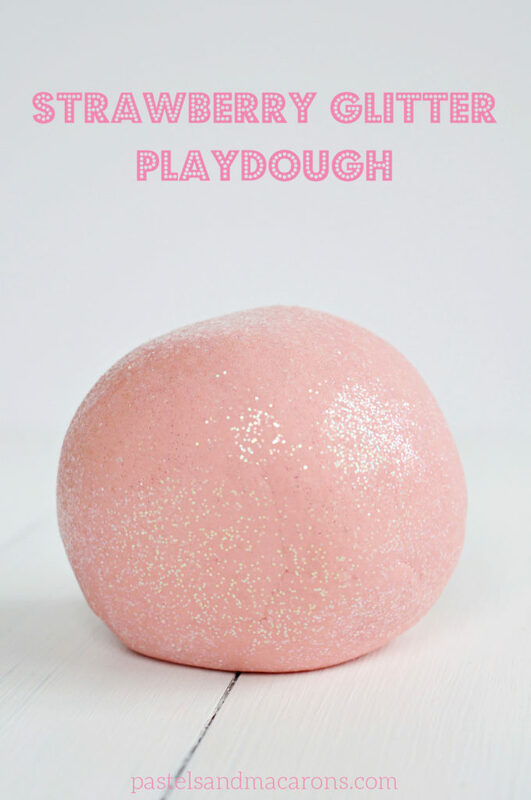 But because the recipes I use are so easy and quick I whipped some up in no time and off he went with Cooper by his side to play with their new pink glittery play dough! I specifically made it pink and glittery in celebration of Valentine’s Day. I know it isn’t Valentines Day yet BUT I’m trying to be organised for it because I want the boys to give their little friends a gift for the big day. We have a wonderful group of friends who the boys love playing with and I love chatting with the mums who are my friends also, so to me it’s a nice time to show them we care by giving all the kids something special. Once I created the printable gift tags I had an idea. I wanted to package the gifts really nice. So I chose to use mason jars to put the play dough in. Now I know glass isn’t a smart place to put play dough in because if handled by a small child then it could break and they could hurt themselves but aside from wanting it to look super pretty I wanted something the mums could keep and enjoy. What woman doesn’t love a good old mason jar? Well… I know I will be happy any day of the week with new mason jars! I then decided to make it even cuter by adding a few special touches. 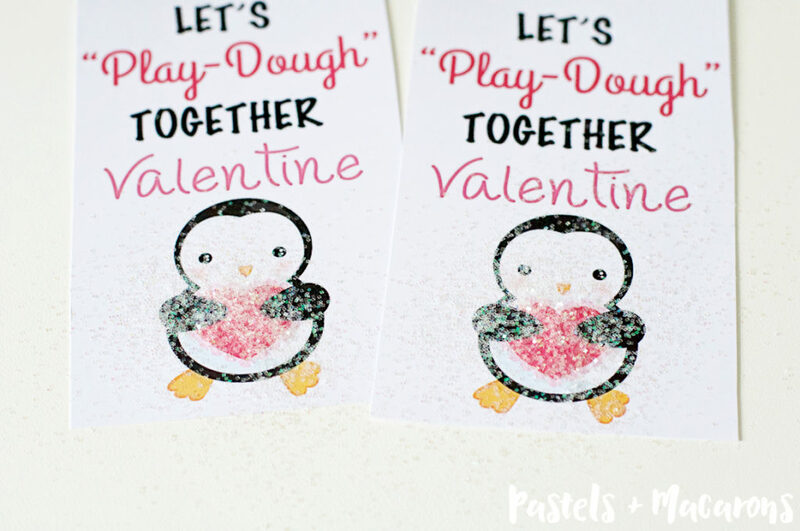 Here’s how to create this Valentine’s Day Kids Gift! Here’s How To Put It All Together! 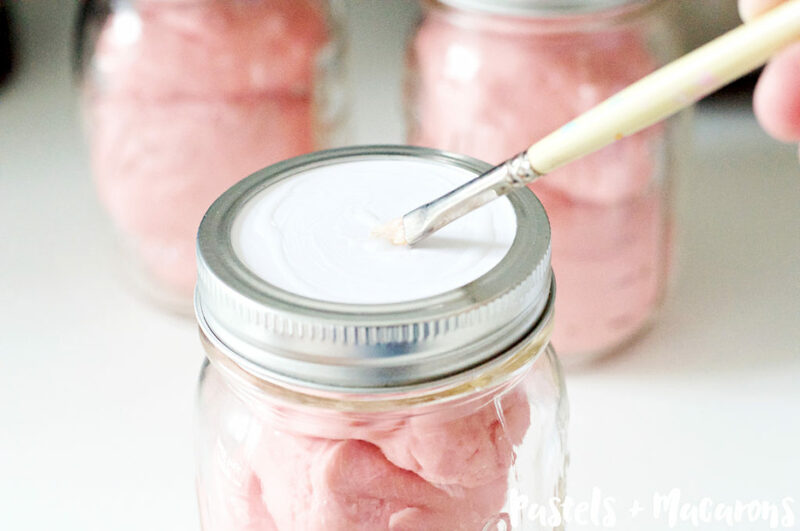 Make your Play Dough and once it has cooled down Place desired amount into mason jar. Print and cut out your gift tags. 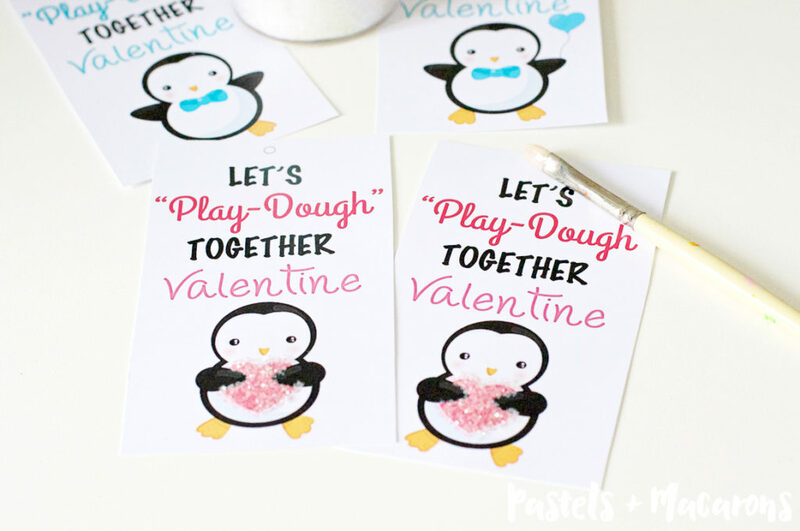 Place a small amount of craft glue on the hearts and the bowtie of the penguin. 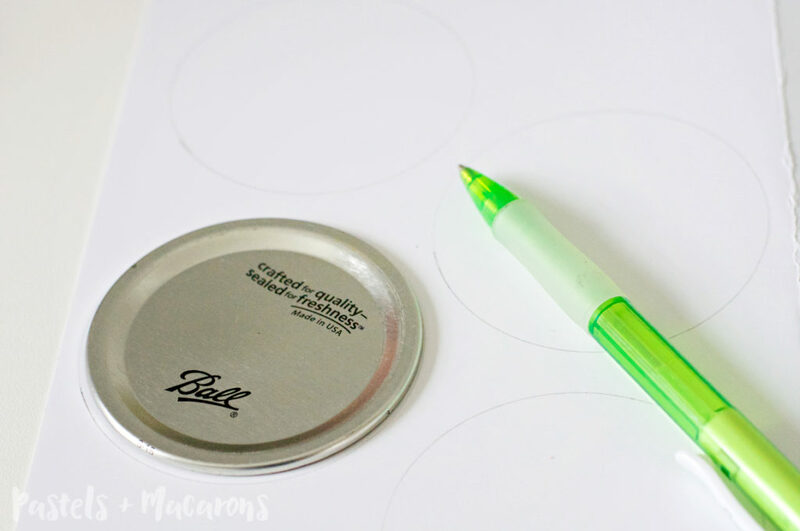 Next, place the inside of the mason jar lid on the white card and trace around it. Cut the circles and place over the lid making sure it is exposed when screwed on to the mason jar. Brush on a good amount of glue over the card stock and sprinkle glitter over the entire lid. Shake off to expose the glitter that is left stuck on. Repeat this with all the mason jar gifts you make. Finish off by hole punching the gift tags and placing the ribbon through them. 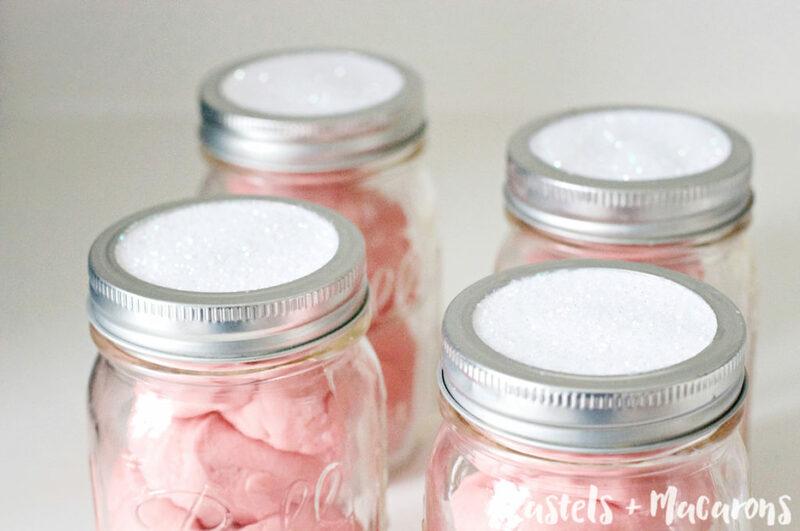 Tie them to the lid of the mason jar and voila! 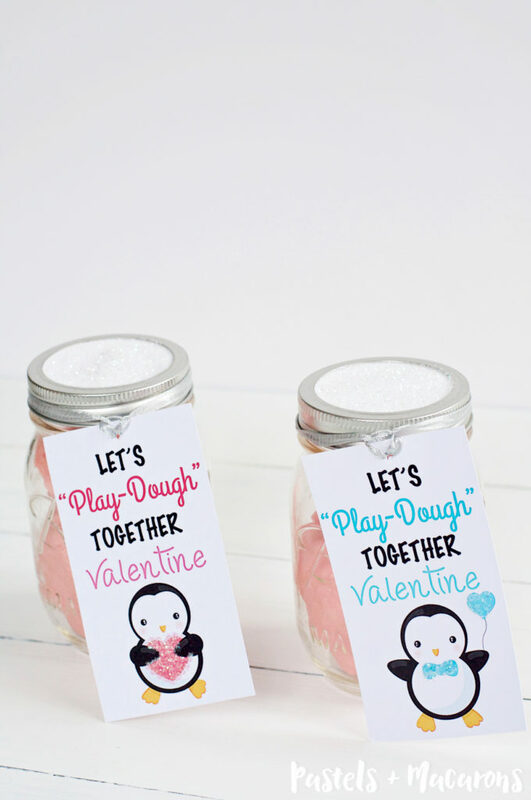 You have your adorable kids valentine gift ready to go! You can give this to your own kids or your children’s friends or to a special little relative you may have! It’s such an adorable gift and I can’t wait to see the boys faces when their friends see their gifts 🙂 Happiness all around. Don’t Forget it. PIN IT FOR LATER! 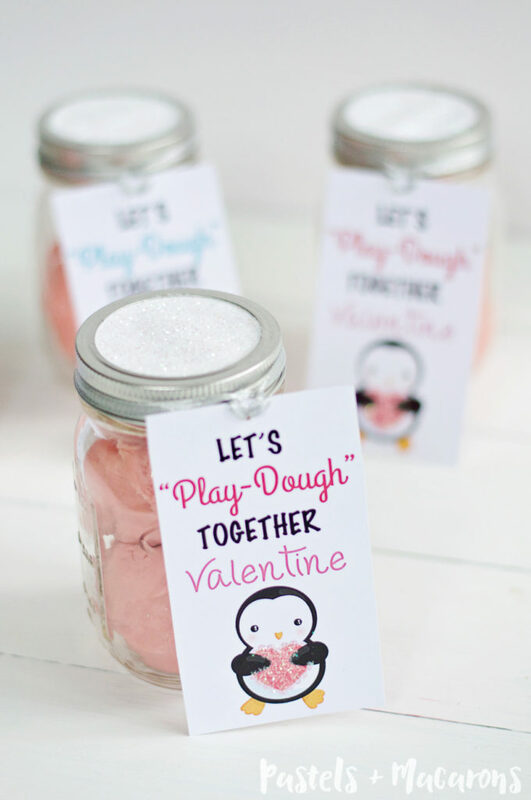 To make the play dough recipe click on the image below! It’s not only glittery BUT it also smells like strawberries! 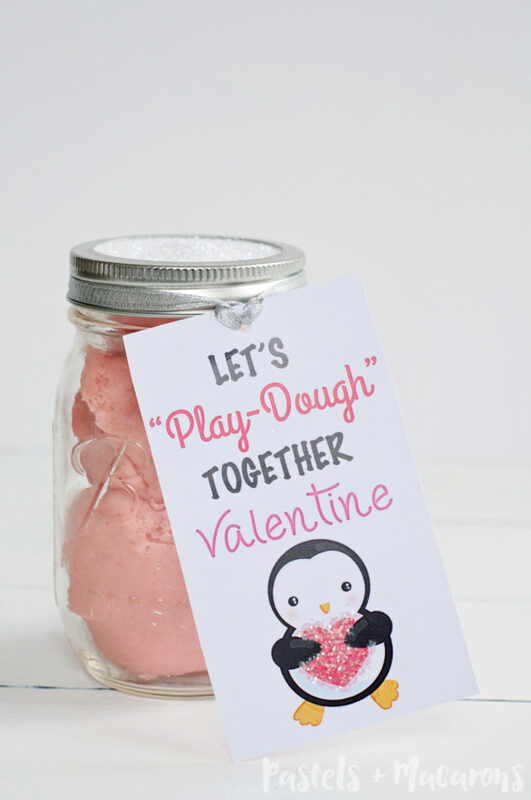 DOWNLOAD YOUR FREE KIDS VALENTINE PLAY DOUGH GIFT TAGS HERE! Do you celebrate Valentine’s Day? What will you be giving your small loves this Valentine’s Day? So cute and what an adorable packaged gift! So clever and fun! Awesome post and such beautiful photos! These are so cute! And I love that little penguin! So much goodness here. Just adorable! I’m gonna show this to my 10 year old niece. Thanks Lori. Hope she loved it! 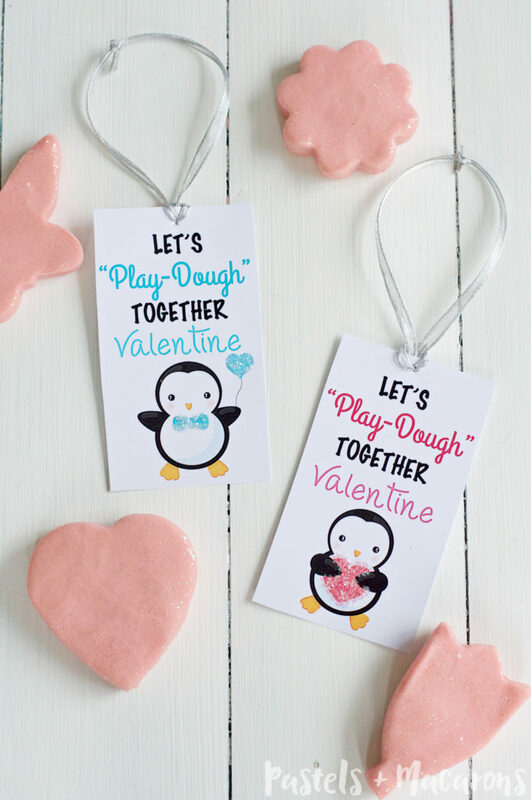 These penguin tags are so cute! I love the glitter and that you thought to do a boy and girl version! PINNED! 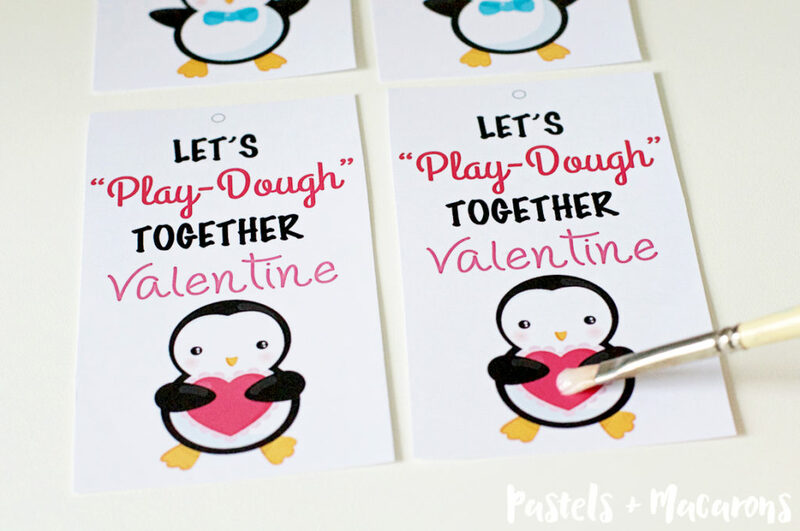 Such a fun Valentine’s Day gift idea! Love those tags! does it smell good too? Yes, the playdough smells SO good! These are sooooo cute! I’d be happy to get this as an adult! Thanks for sharing at Merry Monday! You’re going to be my feature this week and I’ll be sharing this on my social media Sunday night. Hope to see you again at next week’s party! 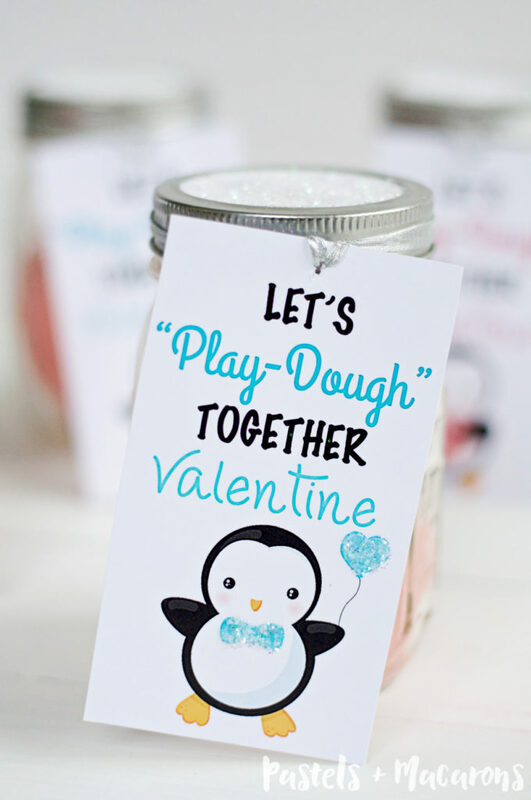 This is an adorable idea, I just love the penguin and all the glitter! What a cute idea! 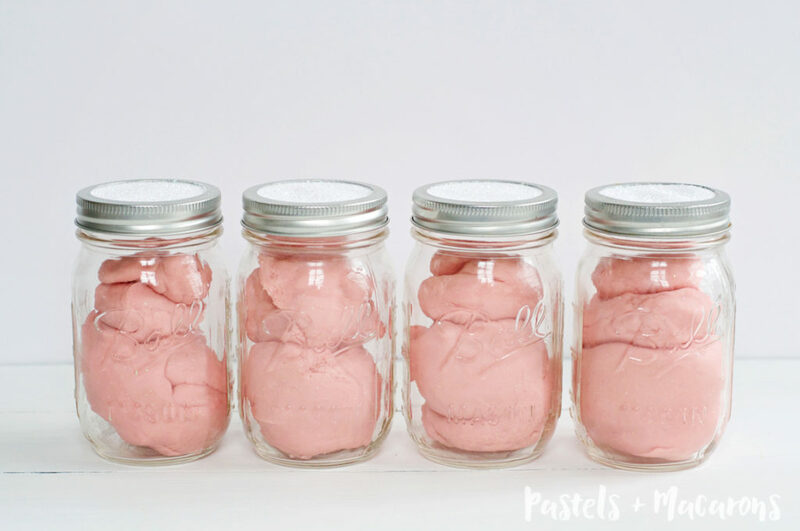 I love making my own play doh for my kiddos–and love the mason jar idea!